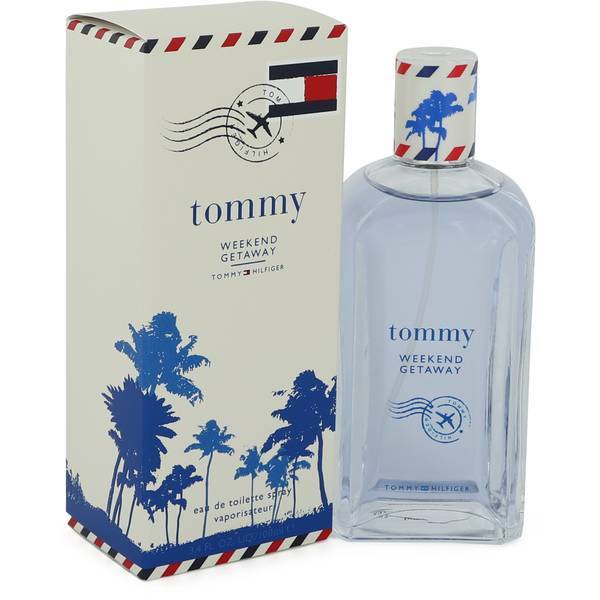 Tommy Weekend Getaway Cologne by Tommy Hilfiger, The fragrance for the outgoing, outdoorsman has finally arrived . In February 2018, Tommy Weekend Getaway was launched, providing men with an earthy and aromatic fragrance for everyday use. Top notes of bergamot orange and ginger give this scent a warm feel, while base scents of sandalwood and vetiver grass keep the fragrance down to earth – quite literally. You’ll also detect hints of white pepper and smoky sage for a touch of fiery spice. For the man that takes on every day like it’s an adventure, this is the fragrance you have been waiting for. Main Accords: Fresh Spicy, Woody, Aromatic, Citrus, Green Style: Charming, Smooth, Classical, Masculine Perfume rating: 4.00 out of 5 with 210 votes.